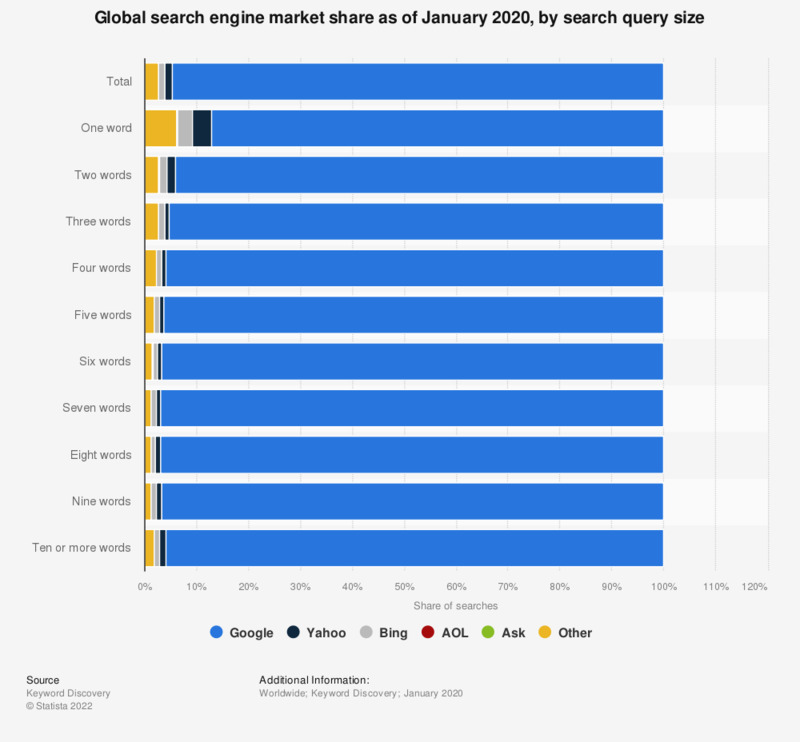 This statistic shows the global search engine market share as of August 2017, by search query size. During the survey period, it was found that Bing accounted for 25.47 percent of single-word search queries worldwide. Everything On "Online search usage" in One Document: Edited and Divided into Handy Chapters. Including Detailed References. Statistics on "Online search usage"